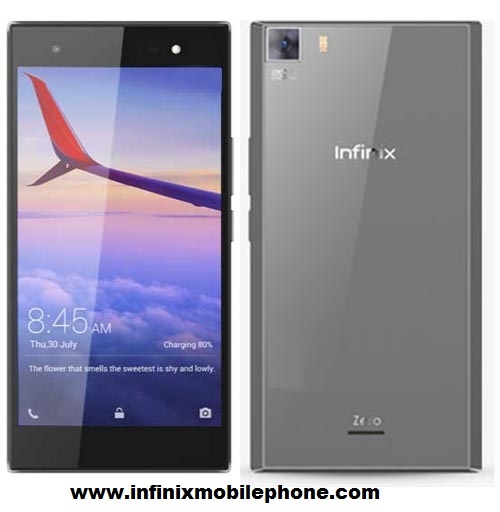 The Infinix Zero 3 is the latest smartphone from Infinix Mobility. This is smartphone launched in 2016 and comes with some very decent specs. The Infinix Zero series is a lineup of premium devices from Infinix. The Zero 3 comes less than 12 months after the company unveiled the Infinix Zero 2 which we have already reviewed. The Infinix Zero 3 (X552) is not your average android smartphone. It comes with some killer specs that do not put it in the same league as any smartphone within the same price range. Starting with the display, the Infinix Zero 2 has a 5.5 inch one with a resolution of 1920 x 1080 Pixels, this translates to a pixel density of 400 ppi. This display is not as bright and feels slightly dim and this is something we don’t like. Overall, it is a good display that gets the job done. As for the design, the Infinix Zero 3 feels more like the Infinix Hot 2 whose design was not very impressive, it feels sticky and bulky to be honest. I would have been happier if they used the same design found on the Infinix Zero 2. The Infinix Zero 3 comes with a 64 bit 2GHz (Octa Core) MediaTek MT6795 processor. This is coupled with 3GB of RAM and 16GB of internal storage space. If this space is not enough for you, there is a microSD card that can expand the space up to 128GB. This is a very powerful combination that makes this phone one of the most powerful one under 20k. The Infinix Zero 3 comes with a very powerful 20.7MP camera at the back. This camera is made by Sony and so you are sure it takes some very good photos. This camera is able to shoot 4K videos. At the front sits a 5MP camera which is perfect for selfies and video calls. A few other features the Zero 3 comes with include a 3030 mAh non removable battery, 4G LTE support, Wi-Fi 802.11 a/b/g/n/ac among others. The phone will be available in gold, silver, blue, red and black. Price of the Infinix Zero 3 in Kenya will retail at Ksh 18,500.